Hakusan, Japan, July 19, 2018 – EIZO Corporation (TSE: 6737) today announced the addition of 4 new Ambassadors to its ColorEdge Ambassador Program, bringing the program’s membership to a total of 46 creatives from 20 countries. 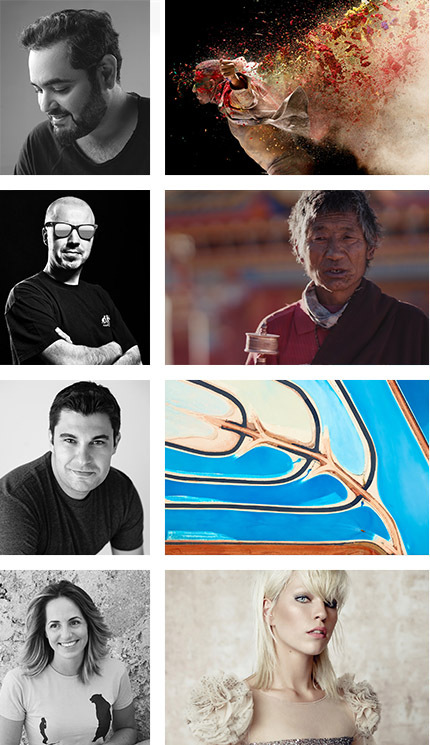 The newest additions to EIZO’s ColorEdge Ambassador Program are influential creatives from varying fields: commercial photographer Ali Alriffai (Saudi Arabia), filmmaker Filippo Chiesa (Italy), aerial, landscape, and travel photographer Andrei Duman (United States), and photographer, retoucher, and designer Marianna Santoni (Italy). Each Ambassador offers a unique experience to the viewers of their works with a common link between them in the ColorEdge monitors they use to achieve their vision. (top to bottom) Ambassadors Ali Alriffai, Filippo Chiesa, Andrei Duman, and Marianna Santoni with their works.